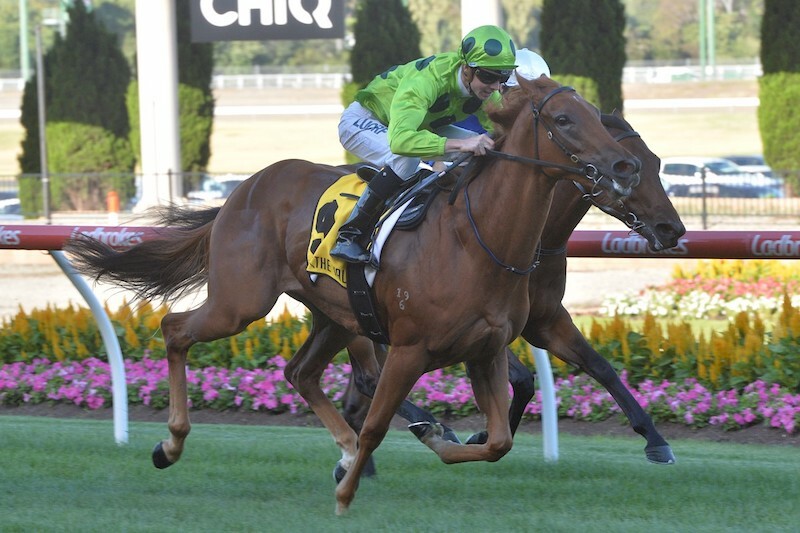 Late last year Robbie Griffiths claimed that all 16 horses he had trained by Magnus had all won – and now he can add the pint-sized chestnut filly Magnicity, after she broke her maiden over 1000 metres at Moonee Valley. Making her first start in 12 weeks after last racing at Caulfield in the Listed Inglis Debutant Stakes and Flemington in the Group 3 Ottawa Stakes in her first preparation, Magnicity was able to handle the pressure well before the home turn and the hard riding by Jye McNeil. The daughter of Magnus was purchased by Griffiths Racing / CB Bloodstock for $70,000 from the Edinburgh Park draft at the Inglis Classic Yearling Sale after Edinburgh Park pin hooked her for $40,000 at the 2017 Inglis Great Southern Weanling Sale. A three-quarter sister to Listed ATC James Carr Stakes winner Missy Cummings (Magnus), Magnicity is the third foal and first winner out of the four-time winning Exceed And Excel mare, A City Girl who is a daughter of the triple Listed stakes-winner Lady Knockout. One of Victoria’s most popular stallions, Group 1 Galaxy Stakes winner Magnus covered 159 mares at Sun Stud last spring at a fee of $19,800. The sire of 17 stakes winners, and closely related to Black Caviar, he was bred and raced by Rob Crabtree who is also the breeder and owner of Missy Cummings. Griffiths has had a long association with Magnus and is the stallion’s most ‘successful’ trainer. “I’ve had 19 runners by Magnus and 18 of them have won!” Griffiths reveals. “I trained one of his early stakes winners in Prettyhappyaboutit, along with horses like Roman Fizz and Scandimania. “Hopefully with that kind of strike rate, Rob will eventually send me another one of his Magnus’s to train!” Griffiths adds with a laugh. Magnus progeny in the upcoming sales include 11 lots at MM Perth Yearling Sale, 3 lots at MM Tasmanian Yearling Sale, 26 lots at Inglis Premier Yearling Sale and 17 lots at MM Adelaide Yearling Sale.